Catastrophic injuries can change the entire course of a person’s life, often leaving them permanently disabled and, in the worst cases, in need of 24-hour care. It can be difficult for victims and their families to see a way forward after this type of devastating incident. If you or a loved one has suffered a catastrophic injury, it is important to understand your rights. If someone else caused the injury through their negligence, you may be entitled to compensation. While compensation cannot change what happened, it can provide the financial assistance you need to effectively manage your injuries and help you live as well as possible with your disability. The Phoenix catastrophic injury lawyers at Phillips Law Group have won fair compensation for many victims of catastrophic injuries. We offer a 100 percent free consultation and we do not charge you anything unless you receive compensation. Call, text 1-800-706-3000 or complete a Free Case Evaluation form today. People can suffer catastrophic injuries from workplace accidents, playing sports, slip and fall accidents, car accidents, motorcycle accidents, or pedestrian accidents. These accidents could be the result of negligent, reckless behavior on the part of an employer, property owners or another motorist. If those parties are at fault for your injuries, you could be entitled compensation for your medical care and other expenses. Our caring Phoenix catastrophic injury lawyers have been fighting for the rights of the injured for many years. Contact us today for a free consultation to review your claim and to see how we can help. Call us at 1-800-706-3000 or complete a Free Case Evaluation. Spinal cord injuries - Damage to the spinal cord can cause quadriplegia, paraplegia or other impairments that severely limit your mobility. These injuries can also cause problems with speech, breathing and muscle coordination. Brain injuries - These injuries can cause severe physical and cognitive impairments and changes to personality and behavior. You may need a permanent or part-time caretaker just to make it through the day. Burn injuries - Severe burns could leave victims permanently scarred and disfigured. These injuries can permanently alter a person's physical appearance, which could damage a person's self-esteem and self-confidence. These injuries are going to require medical care, physical therapy, medical equipment and other expenses, and that is why you need a skilled Phoenix catastrophic injury lawyer to fight for compensation. Your injury is not your fault and you need help to adjust to your new physical or cognitive limitations. Contact us today by calling or texting 1-800-706-3000 or fill out a Free Case Evaluation. Adjusting to life with a permanent disability is hard enough without having to worry about how you are going to afford the care you need. But you may not be able to work much anymore, and the cost of medical treatment and ongoing care could easily be hundreds of thousands of dollars over the course of your life. A catastrophic injury lawyer can also recover compensation for your pain and suffering and lost wages if your injury kept you away from work or has prevented you from working in the future. Contact one of the skilled Phoenix catastrophic injury lawyers at Phillips Law Group to fight for the compensation you deserve. Our catastrophic injury lawyers believe that you deserve the opportunity to make the most of your life with a permanent disability. Complete a Free Case Evaluation or call or text 1-800-706-3000 to review your claim. 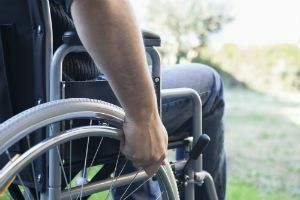 Catastrophic injuries are devastating for victims and their families as they come to grips with the fact that their loved one is permanently disabled. Victims' lives will never be the same. If the injury was the result of another's negligent or reckless behavior, you may be entitled to compensation. Our Phoenix catastrophic injury lawyers have proudly fought for and recovered just compensation for many victims of catastrophic injuries. We want you to have the financial help you need to pay for your care. Your initial consultation with our experienced catastrophic injury lawyers is absolutely free, and we do not charge for our services unless we secure fair compensation for our clients first. Call, text 1-800-706-3000 or complete a Free Case Evaluation.